Pretty sure that many would agree with this age old idiom that ‘ Not always the first impression or for that matter someone’s job defines who the person is ‘ . Infact , sometimes your job entirely camouflages who your are inside. its without doubt impossible to predict a person from the position he keeps or by the smartness he/she throws off . i came to stumble upon this revelation a few months back. 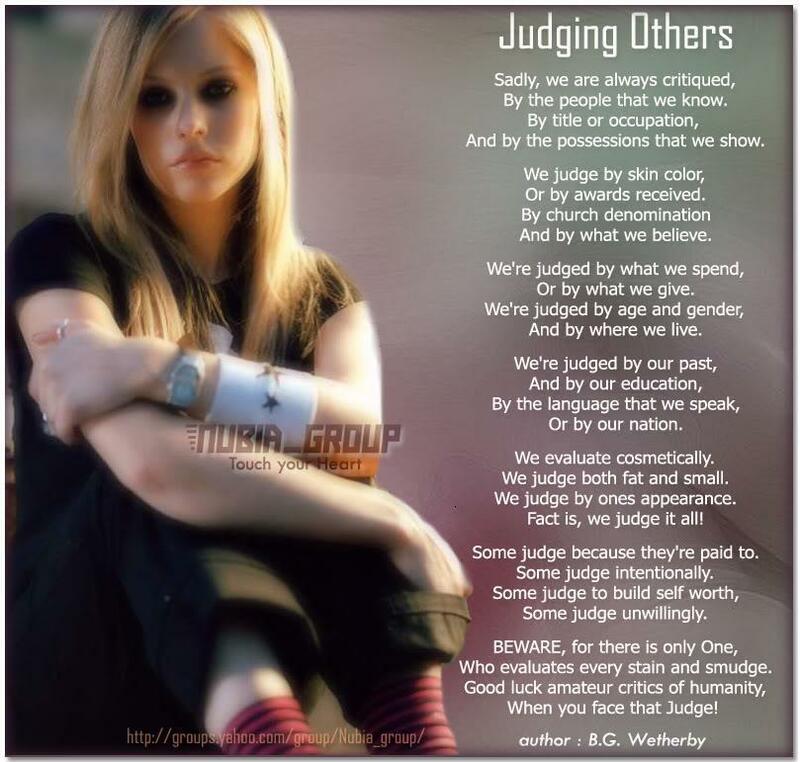 yea its true we nod our heads in agreement when someone says not to judge people by their looks. but i should say its when you came across some incidence that solidifies the validity of such statements in your mind that your mind opens up to the same for real…without a tad of doubt. For example ( no offence intended ), just because one wields the magical tool of a stethescope that can heal millions, should it come for granted that he is devoid of all sin let alone being a philanthropist ? likewise just because someone seems grumpy in one circumstance , it simply doesnt mean that he should be written off as some villain ! for circumstances do have a huge impact on our minds and we come up with the weirdest of things at times .. rather to your shock ! of course if i sit down and evaluate myself i can give some 90 % for the way i am to others . so do you ! for we never realize there might be times when the slips of our tongue created fury or even heartaches to the ones at the receiving end. but i do want to say that when i sit down to evaluate others, i do that by taking into account how they are to me. but i must say many a times i have been carried away by the general notion others have about some person. and its stunting to know how a few words can make or break a person in the minds of others in a blink ! but if you think deep..they are just meaningless.. unless and until you happened to have a bitter experience from the person in the scene. otherwise its just foolishness to read a person through the minds of others ! plus it can end up pathetically erroneous if you approach someone with a prejudiced outline ..thanks to those around you and their innumerable judgement and reasons ! some are of the opinion that – there certainly cannot be smoke without a fire right ! well is it wise to follow this rule blindly ? nonetheless its not the least faulty to doubt a fire when you see a smoke also right ! take this for instance . .its improbable on our part sometimes to doubt that someone would talk behind our back esp after having had seemingly the most beautiful conversation in your entire life ! Experiences happened to stuff some maturity into my head knowingly or unknowingly that these days i have learnt to anticipate a fire from anyone i come across ! except for a few whom i trust to the core. and anytime anyone can be a part of this trusted circle. just that my discretion weighs tons more than the yapping or rather the cheesy opinions i receive from others into making that decision. it can also turn up that someone who did something pretty destructive to you , during the course of time gets back to being not your enemy a second time. there can be a reason for the same too or its just the trick of time. would you trust that person a second time ? i would if there was a good reason for the havoc that happened. But then its just too complicated to generalise such vagaries life thrusts upon us . lets leave it for its way too complicated to be discussed in simple words. Opinions can be deceiving at times . Take a person by how they are to you. For by doing that we stand a lesser ( in quotes ) chance of losing someone precious or on the contrary even getting wounded along the way . Previous postScared To Lose ! Next postGaining hearts – the virtual way !